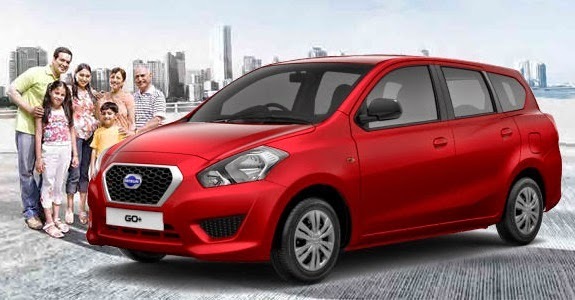 The Datsun Go+ is honestly an unprecedented car we have ever seen. Touted as an MPV seating seven, it measures same as a compact sedan and costs no more than a budget hatch, this car is an absolute bewilderment! On the face of it, the GO+ appears like a bang for the buck beyond any question and may even stir up the whole budget class of cars in India, where we most often think "more for less" may it be the snacks from a street vendor or even political scams!! Well, it is not that easy to decide here on Datsun Go+. So, here is a short review and buying opinion to help you out. The Go+ is hard to differentiate from the Go hatch both inside and outside, only that it remains little stretched out in the rear. The simple interiors and grey dash, same as the hatch, is too bland and built to a cost. The stretching exercise in the rear has been so cleverly executed so that the car still sits on the same wheelbase, accommodate same tail lamp units as the Go hatch and the overall length does not exceed 4m bracket for small cars. The flatter tail gate gives it an unpleasant van-like look and the large rear wheel arches with tiny tyres is an eyesore. Certainly the hatch is better-looking. Brought to you by Wagenclub.com - - Weblog on #Cars, #CVs, Car Culture, & Auto Industry - News, Reviews, Techs, Tips and lot more - based in India.